Léon got an old Finepix of mine a few years back and is really interested in it. Then Anna asked for a camera for her fourth birthday and got one from her grandparents. Unfortunately it seems to work much better outdoors than in but we've had torrential rain almost constantly since her birthday - poor soul! Mind you, at the rate she's going through batteries, it is probably just as well! 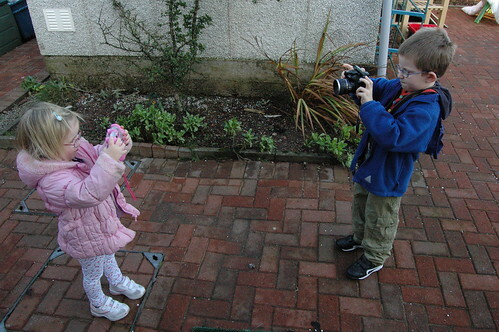 It is nice to see they seem to have inherited my love of photography. I am sure I am going to have a lot in common with Léon and Anna when they grow up!